The differences between a leader and a boss are many. 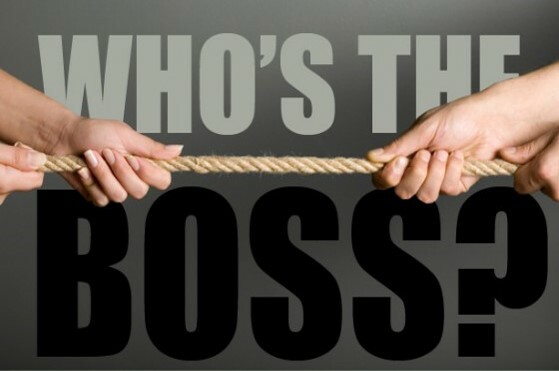 But most are the differences between a good and a bad boss. Nobody wants to work for a bad employer, while everyone wants to have an interesting, healthy environment with good managers and employers. Nobody wants to work for a bad employer but on the contrary they all want to work for a good employer. Leadership has been described as “a process of social influence in which one person can enlist the aid and support of others to implement the joint work.” Respectively Leader is someone who is ahead and “leads”. In other words, inspires, gives advice, gives the (good) example, has a vision and a commitment in achieving that vision, but also the skills to make it happen. Here is a lists of qualities in order to evaluate if you as an employer (or your employer himself) is bad or good. Bad employers are usually attractive. They flatter people, but the flattery – like the people themselves – are forgotten immediately. Good employers on the other hand are presentable. They give praise where appropriate, without being hypocritical and they are critical only when it really means something. These people tend to take the role of coaches and they certainly don’t inflate others’ ego. Bad employers constantly brag about their accomplishments. Tell lengthy stories about the victory that got themselves against many difficulties. Good employers on the other hand are not continually promoting their self and their achievements. They share their experiences, but only to emphasize points which can help the team, learn and move forward. Bad employers require respect from others. Woe to the employee or partner who refuses to bow down before them or to him will dare to imply that they are not perfect. On the contrary, good employers gain the respect and earn. They realize that they cannot be leaders if nobody follows them willingly. Bad employers are imputing responsibilities. If things go wrong, it is because of the incompetence and mistakes of others. If all goes well, it is because they are efficient, capable and smart. Good employers share the share of success. If things go wrong, it is because the employer or the leader made a mistake. If all goes well, it is a victory for the credited his team. Bad employers lack feelings of sympathy or empathy. For example, they will resent if an employee requests leave for family reasons, because of health or anything that would distract him from his job. Good employers on the other hand have sympathy. They understand that workers have real life, which sometimes include anxiety and sadness. They have a supportive attitude and thus make employees come back to power and eager to work. Bad employers think they know everything. No matter where they are and for what reason, they consider themselves smarter above all and they believe that their opinion is the soundest. Instead, good employers hire experts and seek to learn from then. They know they will be more successful if they are in an environment that can make every day better. Bad employers often manipulate people. They see their employees and their partners as pawns in the biggest game they play. But good employers inspire people. Make everyone to “play” in the same group and the same game, to achieve the same goals. Bad employers enjoy to reduce their people and their partners. At each meeting they will find a way to expose an employee and to highlight the negatives points. Good employers on the other hand focus the positive points, the negatives are seen as signs of improvement and not as obstacles, while the goal of everyone is always to improve and develop. They help the group and individuals separately, setting goals and reviving morale. Good site! I really love how it is easy on my eyes and the data are well written. I'm wondering how I might be notified when a new post has been made. I have subscribed to your RSS feed which must do the trick! Have a nice day! Important stuff to know – besides social media posting! Sandales Pas Cher on Important stuff to know – besides social media posting! cane fitness on Good or bad boss?